Yesterday for Pancake Monday I decided to try something different than my normal Kodiak Powercake mix. I’m a subscriber to Food Network magazine and I also stalk their web site for ideas. 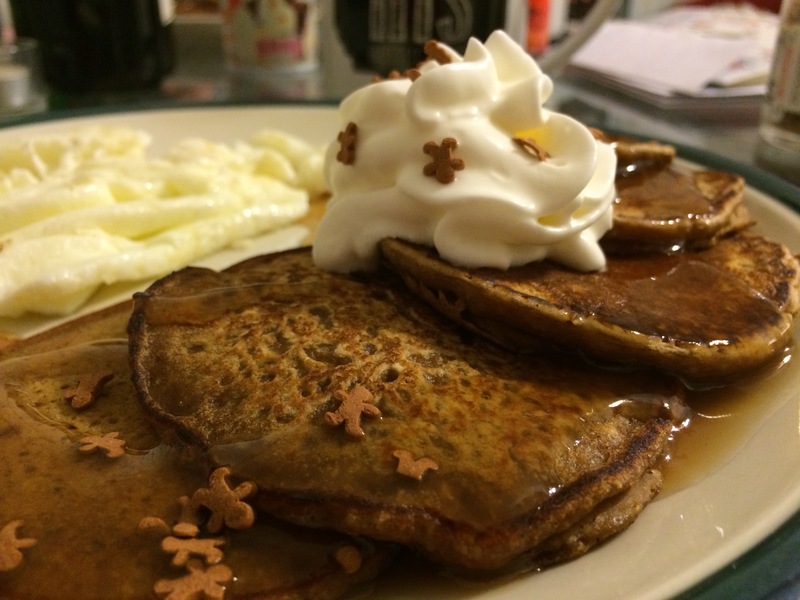 Last week, when I was looking for cookies to experiment with I found gingerbread pancakes. Well, it’s Christmas time and I’ve been eating and drinking gingerbread flavored things since the end of October. You can find the original recipe here. I also pinned it on my Pinterest page, which you can find here. The recipe makes enough batter in case you need to feed a small village. Since JP and I are two people and not a small village I modified the recipe to fit us and our macro needs. These pancakes were awesome and I’m glad we tried them. The batter would probably be awesome for waffles or thinned out and used for crepes. We didn’t try the sauce that accompanied the pancake recipe because we didn’t want the extra calories. We also didn’t know how we would feel about something that sweet that early in the morning. I’m pretty pumped to try other recipes throughout the holiday season and I’ve already warned JP that there will be a lot more cookies to come as we start attending parties. I don’t think he’s going to complain, but it’ll just be about figuring out how to enjoy them without going overboard. We clearly need more people to bake and cook for. 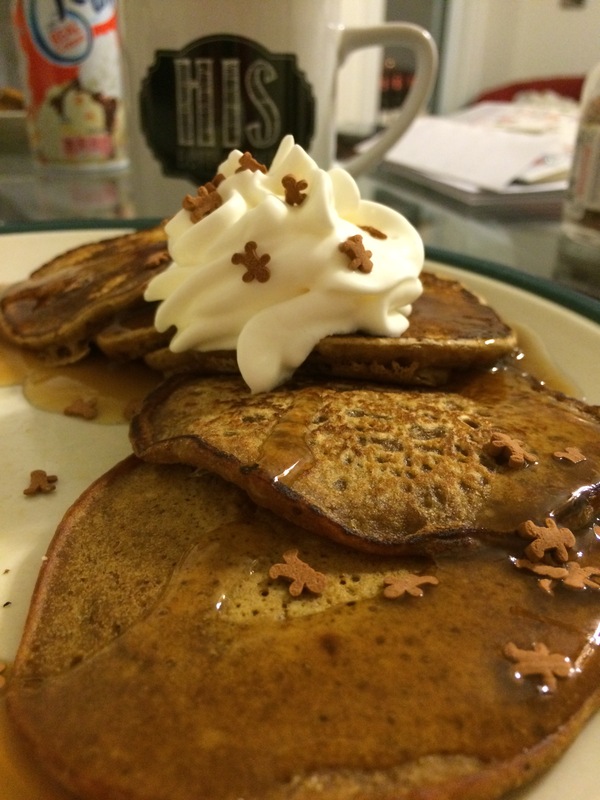 If you try these pancakes let me know what you thought of them!